Hi guys! I'm so excited about this post, because I was able to find a layering combo to imitate Zoya's Gemma. I really love all the colors Zoya has released in the last couple of months, want many of them, but here comes the bummer: Zoya isn't available in Holland. It is on Ebay, but the prices are a bit too high for my taste, especially since Zoya bottles aren't that big either. So I still don't own a single bottle of Zoya, talk about frustration! So Gemma is one of their pretties I hope to own someday. Until then I'll have to do it with this combo you're looking at right now. The base color is H&M Hunt Me Down, which I've posted about before and I only used one coat! I layered it with a blue shimmer polish which was part of a set nameless minis I bought over ten years ago. It was very cheap and smells so bad, but hey, it still works. And I was even lucky to find another bottle of it on Queensday! The result of the two polishes combined probably isn't a Gemma-dupe, but it's close enough for me to love it. So unfortunately I don't have a real recipe for fellow Gemma-lovers-but-not-owners, but the good thing is that any light blue shimmer over any army green will look gorgeous in my opinion, Gemma-dupe or not. 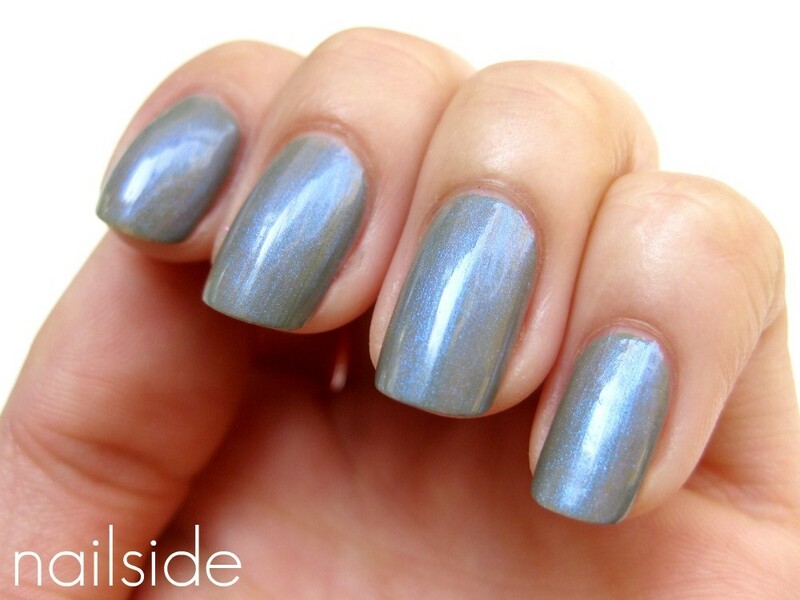 i've been looking for a blue shimmer (like essie - kisses and bises but BLUE) for so longggg aaagghghhghghg. so beautiful! BEAUTIFUL! I thought this was Gemma when I first saw it. Oh I love it! It's like an amped up spin on Gemma! You can order Zoya on Nailpolish Fashion, I always get mine there! It's Dutch!